CONNECT16 was a live 360 view over Ireland’s event industry, featuring 290 event suppliers from hotels, venues, entertainers, activity providers, artisan producers and the latest in event technology and design. 2016 was the first time an event of this nature took place in Ireland. Over a period of 12 months, Nicola McGrane, who created this project, relentlessly pursued her vision to showcase Ireland and the extraordinary creative offerings that the Irish business tourism industry has to offer, by assembling the greatest possible number of event suppliers under one roof. 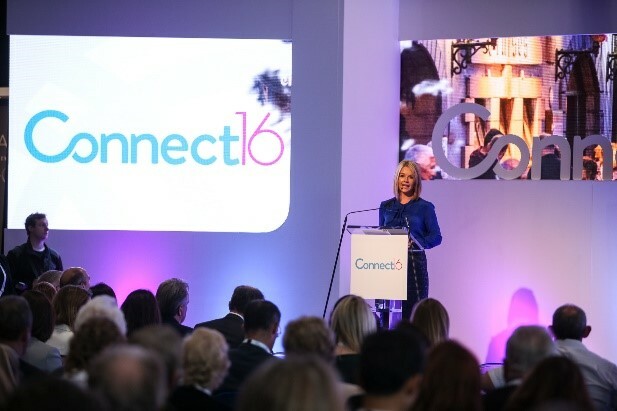 The core objective of Connect16 was to position Ireland as a key destination for international events. Connect16 aimed to collectively connect all stakeholders in Ireland with the global business tourism marketplace, provide an experiential showcase for buyers of Ireland’s unique culture, venues, music, food, artisan producers, activity providers and attract national & international associations, academics and consultant doctors to Connect16 with the aim of motivating them to bid to bring associations/ business conferences to Ireland. The event also provided industry professionals with an opportunity to network, build relationships with other industry professionals, share experiences and educate each other to further develop standards within the industry. As this was the first showcase, our strategy was focused on delegate acquisition and quickly gaining approval within the market, creating a wider awareness of the event. A thorough communications and social media plan was necessitated to ensure that Connect16 was successful and it had to be integrated with the overall conference plan. The communications plan was a 3 month plan and focused on social media, which included blogging, video, Twitter, Facebook, LinkedIn, email marketing, a dedicated website, a bespoke Connect16 mobile conference app, radio and press. Social media was a vital component in Connect16’s overall communications plan due to the speed and reach of this channel to connect with the target audience. Considering the limited budget, social media was also recognised as a cost-effective communications channel. Hosted buyer programmes. Several groups totaling 70 top Canadian, North American, UK and European based corporate agency and association delegations, who collectively bring business worth over €210m annually to destinations, enjoyed familiarisation trips around Ireland, visiting Cork, Kerry, Kildare, Kilkenny, Limerick, Shannon and Wicklow. The main stage hosted the official opening by An Taoiseach, Enda Kenny T.D. The exhibition hall was divided into different regions (Dublin region, Northern Ireland region, Limerick & Shannon region etc.) to showcase the unique characteristics of each region, while also providing corporates and associations an opportunity to experience the island of Ireland in one location. The experiential stages showcased the extraordinary creative and musical talents available in Ireland featuring Irish choirs, musicians, dancers and food demonstrations by the best Irish chefs, including Stephen Gibson from Pichet and Andrew Rudd of Medley. Career clinics and learning lounges. In the career clinics, event professionals could hone their skills in a variety of topics, including project management, stage production, negotiation and event budgeting. 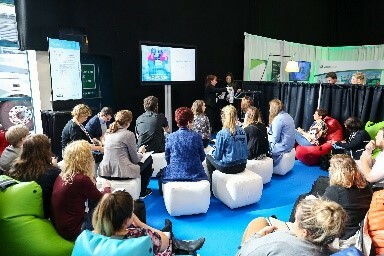 A careers zone enabled professionals to meet recruiters and was complemented by two learning lounges presenting a host of topics, including interview techniques and CV skills. 2,756 Delegates, 57 speakers and 23 musicians, 24 Keynote Speakers on the main stage, 70 Media/ journalists, 68 Sessions, 1 Social/Event (Industry Networking Reception & Irish entertainment showcase held at the end of Connect16), Hosted Buyer Programme hosting 70 top Canadian, North American, UK and European based corporate agency and association buyers, who collectively bring business worth over €210m annually to destinations were in attendance, 7 Countries (Ireland, UK, Canada, France, Belgium Germany and North American), 230 Sponsors and Exhibitors, 230 Exhibition Stands covering all 9,195 sq. m. in the RDS, 1 Committee, 1 VIP (Enda Kenny, T.D. An Taoiseach opened Connect16), 1 two floor exhibition unit containing a picnic and bar on the second floor, 1 4.5 metre Games of Thrones castle, 1 Citroen van converted into a bar serving alcoholic and non-alcoholic drinks all day.